If you’ve been paying attention, you may have noticed that I’ve gotten quite a lot of ‘mileage’ out of social media and blogging. I’ve gotten loads of complimentary passes to conferences, pieces published in notable blogs, and even an H1N1 vaccination last week (long story, and thanks to the Mission Valley Medical Clinic). 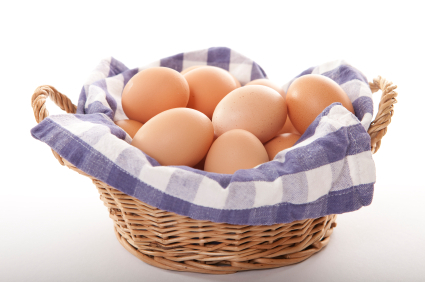 I was talking to my sister about how bartering is ‘back in vogue’ now that companies have fewer financial resources, and she pointed out this is how some commerce was done in the early days in America–pay your doctor with a dozen eggs. This is a great way to do business in the new ‘outsourced’ economy, but you should remember that maintaining a good reputation is more important than ever, and that bartering should be done carefully so as not to abuse your relationships. How do you leverage your skills to garner resources from others? For me, the blogging angle has worked well, mostly because I have some credibility and a large network, I like to write, and there is a real need for good content. In short, the key is to find someone that values and needs your skills and knows you, knows of you, or knows how to find out about you. Social media to the rescue…a strong online presence and network certainly helps! Also, nothing gives you a ‘channel’ and platform for your efforts more than starting a blog, check out our post on WordPress for more information. The new ‘barter economy‘ is part of a larger trend in which companies collaborate more, covered well in the book What Would Google Do. Google, in building their business, realized that companies that collaborate get more done with less. You might even decide that giving away some of your services for free might benefit you in the long run, a theory that the book Free describes (and you can get Free for free here). The idea is that by providing your services free, and getting your work ‘out there,’ you’ll benefit so much from the exposure (and perhaps karma/future business from the receiving company) that it will be worth the initial expense. Although bartering is a great way to get the things you need on a tight budget, you should remember that you must be willing to deliver the goods, service, or karma and make sure that your bartering partner is happy with the results. Always keep in contact with, and even reach out to, those you want to partner with. Not delivering on bartered goods or services can be just as bad as failing to provide paid for items, even if there is no contractual obligation. Having a reputation of ‘never giving, always receiving’ can be a black mark that you will not soon be able to erase, especially in today’s uber connected business world. Take home message? Be creative and realize you may be able to get things you need from others by proposing that you barter. Take advantage of the new ways to connect and communicate and realize that they mean that your reputation is more important than ever.